One way to keep showing the community we are not a “well-kept secret” is to bring our friends and neighbors to campus. 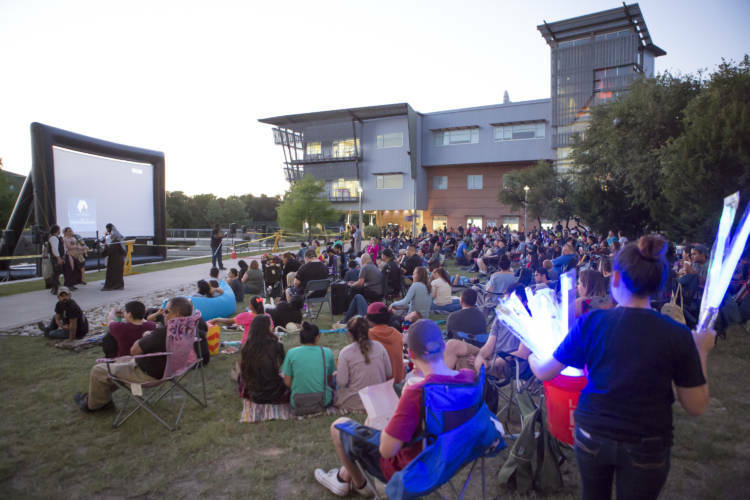 This year, the annual Star Wars-themed event – May 4th – will partner with San Antonio’s “Wookiee Walk” to transform the campus into a Star Wars gathering place. The day kicks off at 4 pm with music and the Wookiee Walk starts at 6 pm with a .5 mile walk around the campus in Stars Wars costumes. After the walk, there will be a costume contest, activities, arcades games to play, food trucks and more. “Solo” will be shown around sundown, which features a young Han Solo, who teams up with Chewbacca and Lando Calrissian for his first smuggling mission. 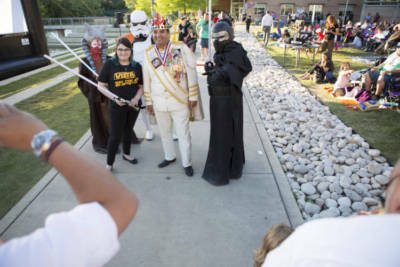 “Traditionally, the Wookiee Walk was held on a different day downtown and when we heard they were moving it to May 4th, we figured we could try to partner with them and invite all the Star Wars fans to see the campus,” said Paul Vallejo of NVC’s May 4th event and member of the NVC Public Relations team. Throughout the route, there will be Star Wars decorations to take selfies and a few life-size props to wow fans. Since the event is happening on a Saturday this year, and if weather is good, it’s anticipated there will be a big crowd. A few years back, the event attracted about 1,000 people, without the Wookiee Walk. If your department or program would like to have a table to display items or do an activity, please contact Lisa McDaniel at mcdaniel5@alamo.edu. If you would like to be a volunteer, contact Gerona Nylander at gbayles@alamo.edu. If you would like to sell items or provide a sponsorship, see the link.